This entry was posted on March 3, 2011 at 1:24 pm and is filed under Lost Classics! with tags Art Neville, George Porter Jr., Leo Nocentelli, Mardi Gras, Showboat Lounge, The Meters, WNOE, Zigaboo Modeliste. You can follow any responses to this entry through the RSS 2.0 feed. You can leave a response, or trackback from your own site. Yes.. 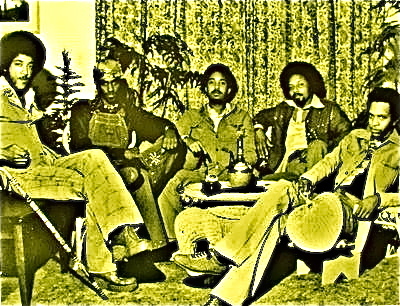 The Meters are the ORiginators! All the rest of us are duplicators. Good news – Leo and Art say they are going to record a new ablum – per their interview in the latest Relix Magazine.